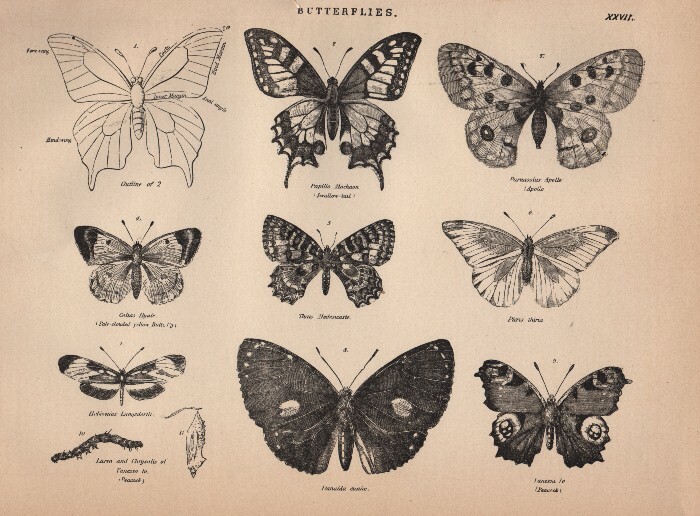 Click above to enlarge imageHere’s another page of butterflies from the antique encyclopedia. These would be beautiful framed to use as artwork in your home. I don’t know what it is, but everyone seems to love butterflies! I’m glad you like these. I have to admit I don’t know a thing about Photoshop, but I sure wish I did! I love these butterflies! They would make wonderful Photoshop stamps.